Can’t think of a way to spend Presidents’ Day weekend? No worries! Here in the Capital Region and Clifton Park Area, you’ll find tons of entertainment and activities going on all weekend long. From ice bars to a city-wide music & dance festival, you’ll find something fun to do in our list of weekend events. 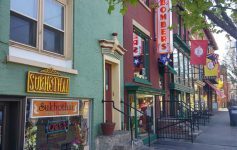 Schenectady Restaurant Week kicks off this Monday! 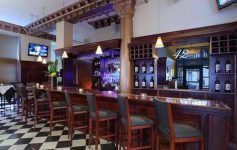 At each of the 23 participating Schenectady restaurants, you will be able to order delicious three-course meals for a special price of $25. Head over to the Marcelle Athletic Complex at Siena College for the 8th annual Mac-n-Cheese Bowl this Saturday. There will be two tasting sessions, and tickets will be $20 for adults and $5 for kids ages 5-12. Come by and try some delicious mac-n-cheese. Ready to dance the weekend away? Visit Saratoga Springs for the annual Flurry Festival, which will feature over 300 performers and more than 200 events. There will be dances, workshops, singing, concerts, and much more. Ticket prices vary depending on which days you choose. The New York State Museum will host the 24th annual James Campbell Memorial Gem, Mineral and Fossil Show and Sale on both Saturday and Sunday. Admission is $5 per adult while children 12 and under get in for free. All proceeds will benefit the museum’s mineral acquisition fund. Longfellows in Saratoga Springs is prepared to host their 17th annual Wedding Show this Sunday from 11:00am-3:00pm. Some of the highlights will include the Tasting Room, a Wedding Breakfast Workshop, and more. Admission is free, but registration is required. Bring your kids to the Clifton Park – Halfmoon Public Library this Friday at 4:00pm for a Kindness Quilt. In celebration of Random Acts of Kindness Day, children are invited to design and decorate a square for a quilt, which will then be displayed in the library. The event is for children in grades 1-5. The butterflies are back at miSci in Schenectady starting this Saturday! Discover hundreds of colorful native butterflies and learn about all the different species. It’s time for New York State’s first Free Fishing Weekend in 2017. On Saturday and Sunday, NYS residents and non-residents do not need a fishing license. 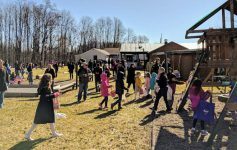 Hudson Crossing Park in Schuylerville will host Rogue Sled Winterfest this Sunday – a winter celebration inspired by Star Wars. Enjoy ice harvesting, a bonfire with UFOs, a snow sculpture contest, and many more activities. Don’t forget to bring your own “flying” saucer sled. To help raise funds for the children of the Batchler family, Afrim’s Sports of Latham will host a 3v3 Fundraiser Soccer Tournament this Monday. The tournament has been organized by girls on the Rotterdam United Soccer Club, and it will be open for kids ages 8-16. Ice bar season is slowing down, but this weekend, you will still have a chance to check out The Mill on Round Lake’s 30 foot ice bar. 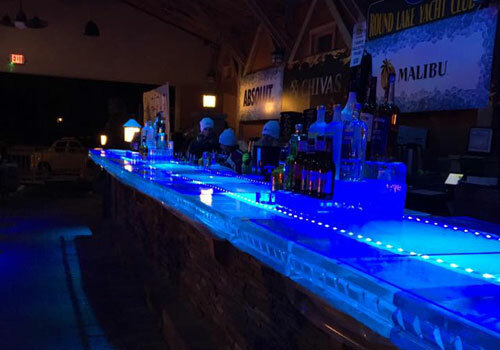 Stop by and order up a drink at the ice luge area, see the ice sculpture shuffleboard, and have fun. Unfortunately for ice bar fans, unless you’ve already purchased a ticket for Prime at Saratoga National’s Polar Ice Bar, you won’t be able to get in to the event. Make sure you check early if the ice bar happens again next year!